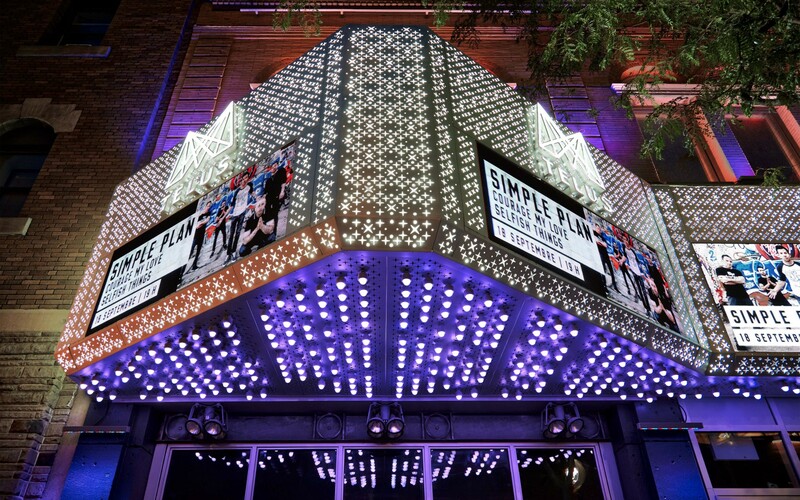 Lumenpulse LED luminaires selected to illuminate the new marquee and building facade of Montreal’s legendary concert venue. 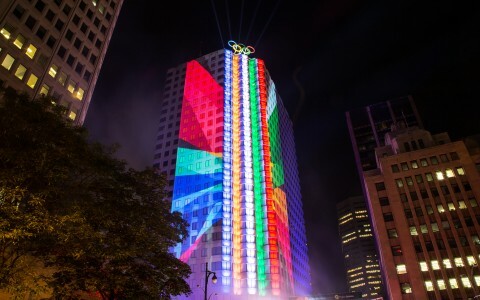 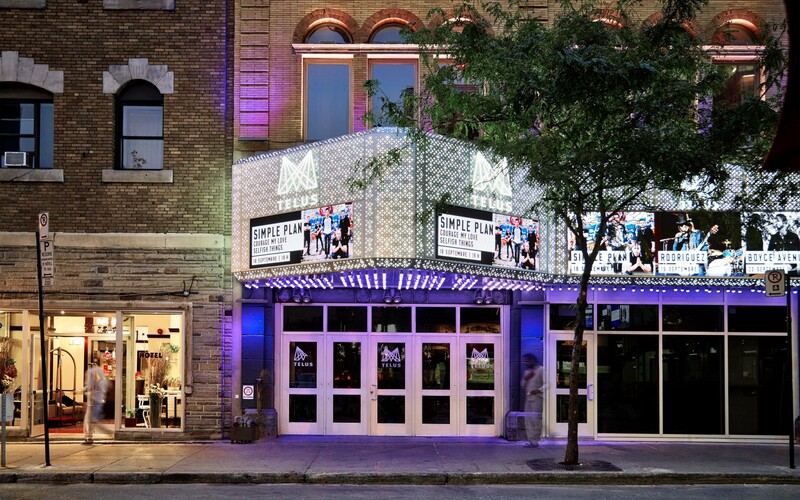 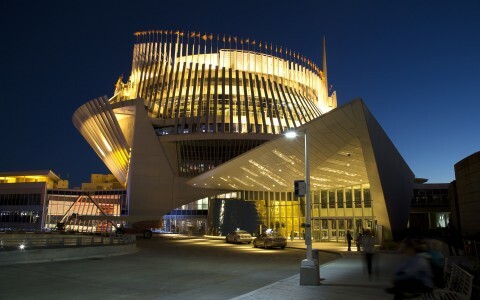 The façade of one of Montreal’s iconic performance halls has been transformed with a dynamic lighting design using luminaires from Lumenpulse. 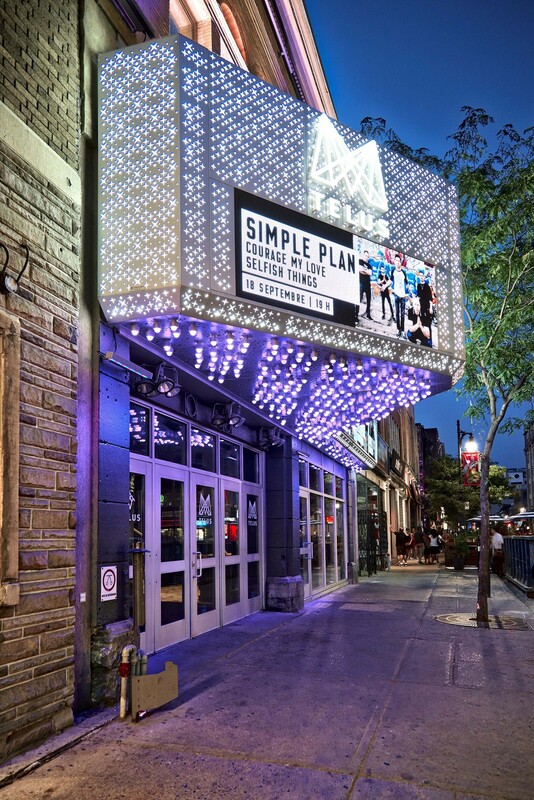 MTELUS, formerly known as the Metropolis, is located on Ste-Catherine Street. 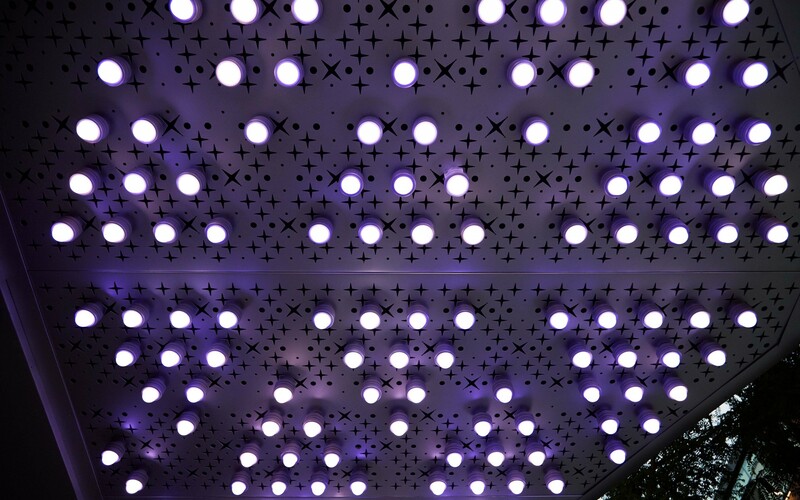 Its new vibrant lighting design was created by Patty Xenos Design, who worked with project management QMD and owners Spectra. 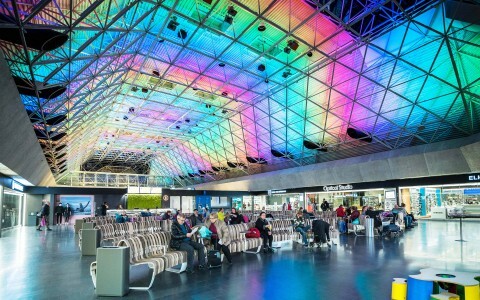 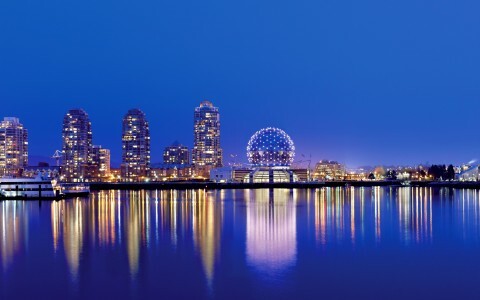 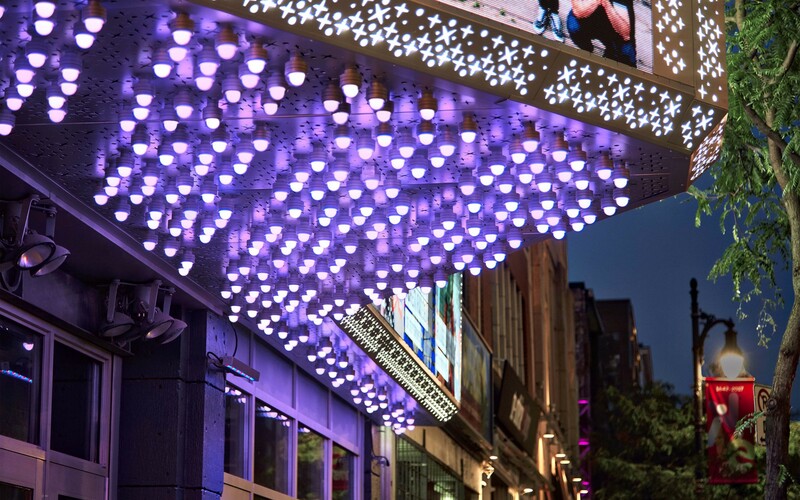 Patty Xenos Design used Lumenpulse Lumenfacade Colour-Changing (RGBW) fixtures to highlight the textured façade and second floor arches, while the Lumendome Nano Colour-Changing direct-view pixel luminaires light the underside of the marquee. 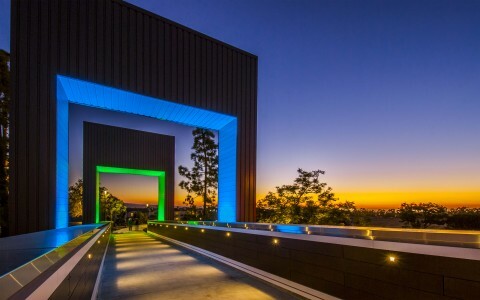 Thanks to DMX-control and the low-resolution screen capabilities of the Lumendome Nano fixtures, the MTELUS team now has the ability to create colour chasing effects and various colour schemes for the venue’s concerts and events.